You’ve been working hard all week and need a break, perhaps a quick nap would help…if only one of these 10 nap solutions was available at your office. 1. 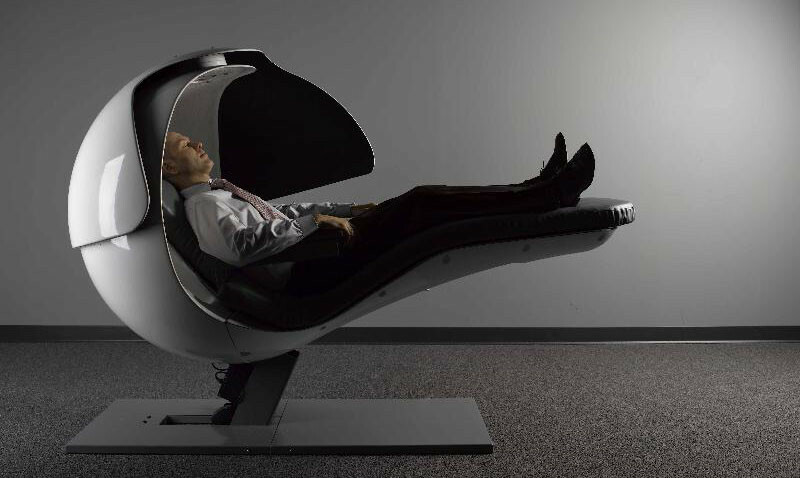 The MetroNaps EnergyPod (used at Google offices) lulls you to sleep with relaxing sounds, then reclines slightly to put you in the ideal position for resting. 2. 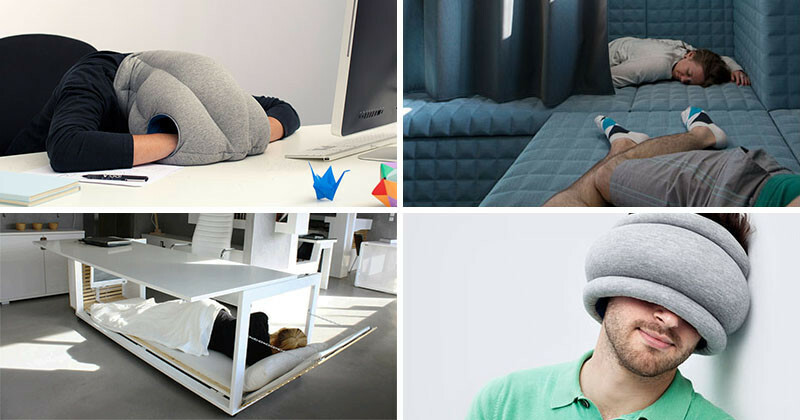 This pillow lets you comfortably take a nap wherever you are, like your desk. Ostrich Pillow designed by Kawamura-Ganjavian for Studio Banana Things. 3. 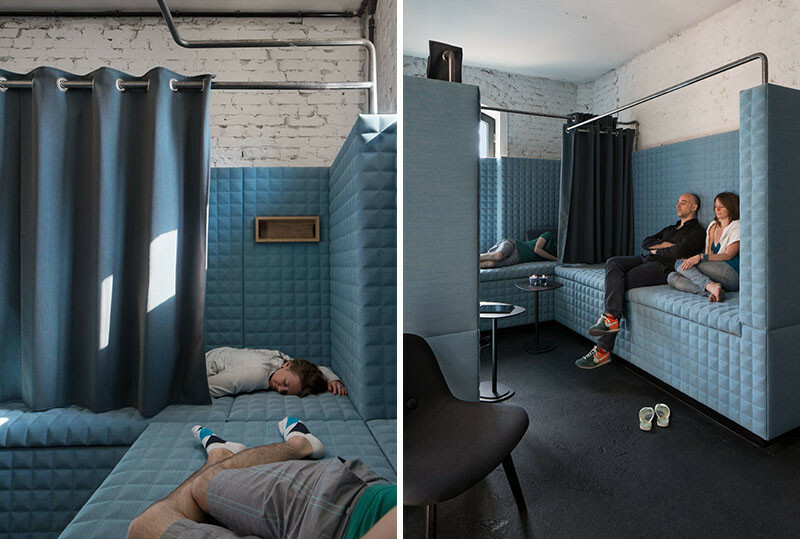 SoundCloud had a nap room built into their new office. It’s full of padding and has curtains for privacy. Designed by KINZO. Photography by Werner Huthmacher. 4. The SoundCloud office also has this space, which is more like a quiet reading room, but definitely has huge potential for naps. 5. 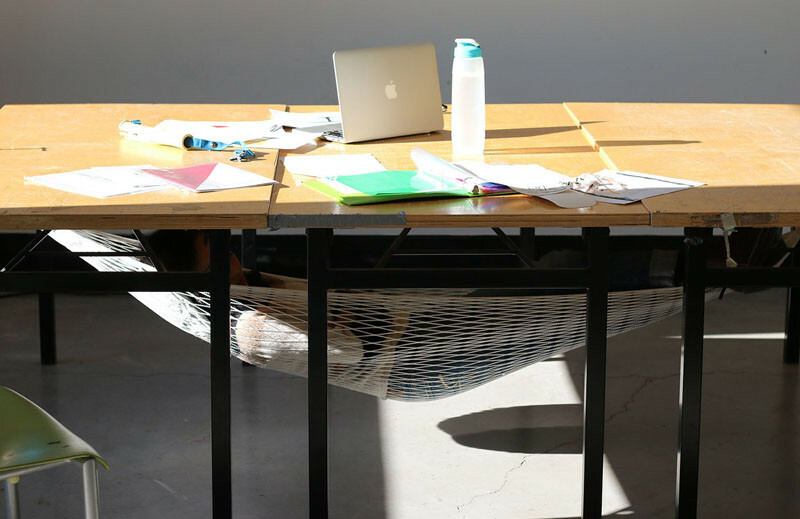 This hammock is designed to be installed under any desk. 6. 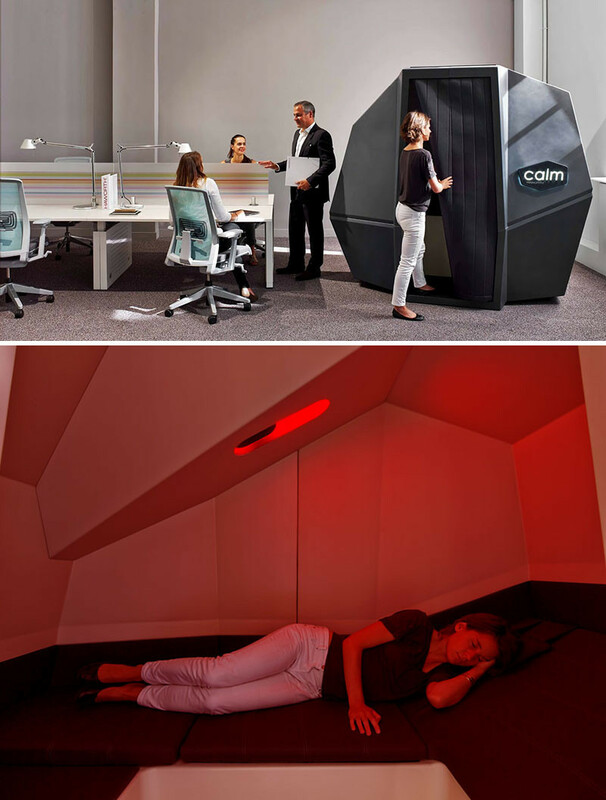 This microspace room is designed to be used in offices to allow people to take short power naps. 7. Designed by the same people who created the Ostrich Pillow, this mini version might be more practical. Perfect for a quick nap if your office desk is next to a wall. 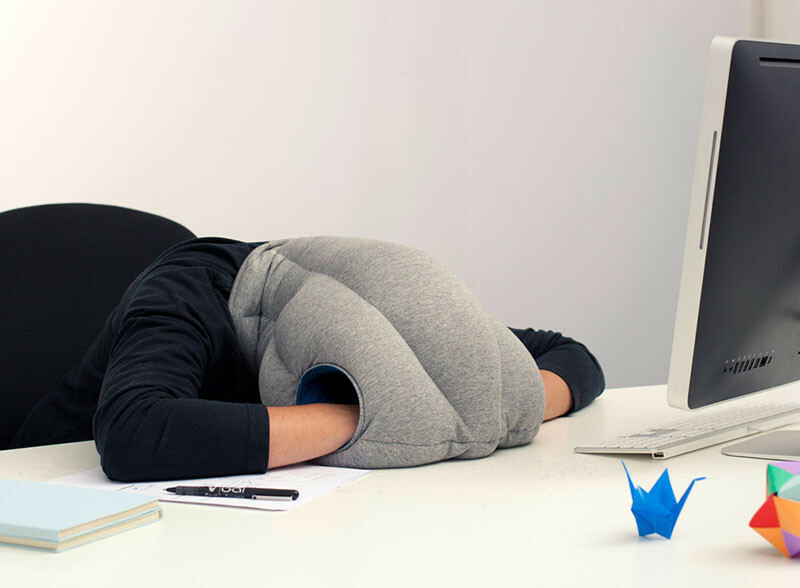 Ostrich Pillow Lite designed by Kawamura-Ganjavian for Studio Banana Things. 8. This desk opens up and transforms into a bed. 9. 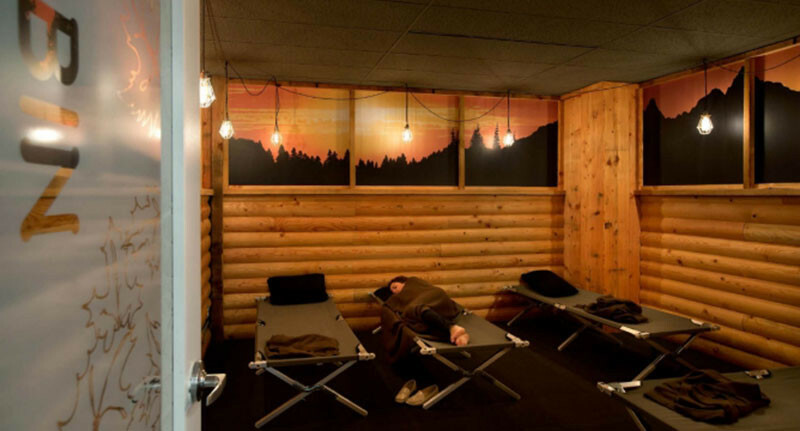 The Hootsuite offices have a cabin-like space with stretchers to have a nap on. Design and photography by SSDG. 10. 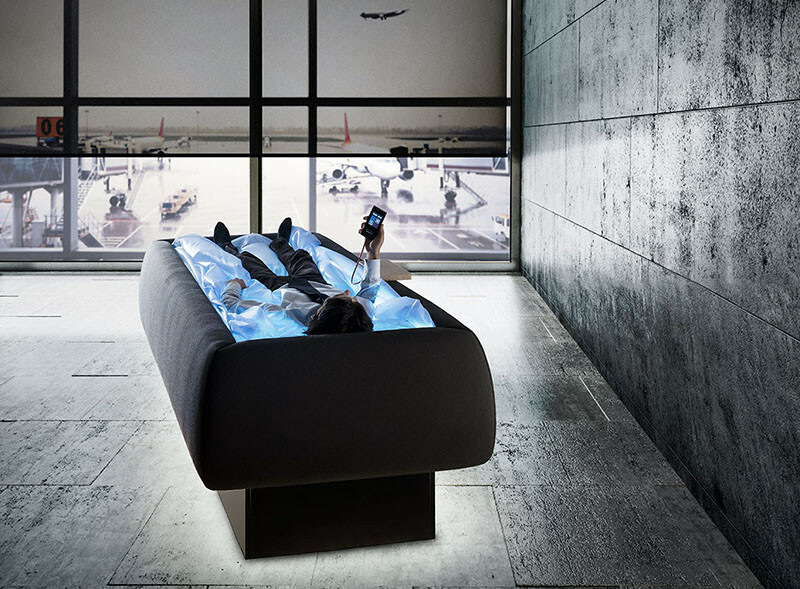 This dry bed is a heated water bed that makes you feel like you’re floating. Every office should have one in a quiet back room for easy napping. Starpool designed by Cristiano Mino in collaboration with Neocogita.